It’s that time of the year again when the little poppy, that beautiful flower that toils in fields across Europe and further a-field, in a variety of colours when in bloom is used as a symbol of solemn Remembrance or as a marketing tool for Charities or as a glorifying rallying call for war mongers. Here in this little north east region of the Island of Ireland, the northern 6 counties, Northern Ireland or what ever else you wish to label this tiny place on Earth, the poppy symbol is often used for sinister, insidious and offensive purposes. 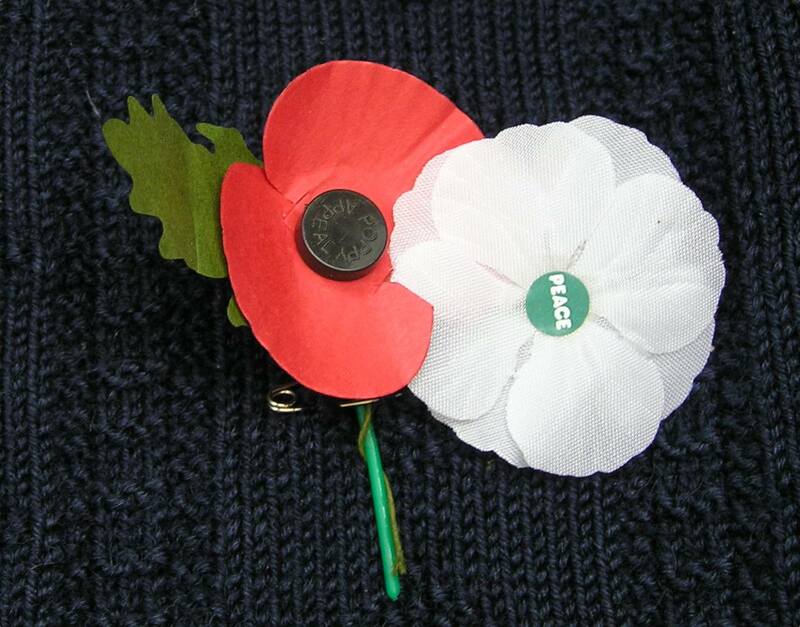 Let’s take the specific of the White Poppy this year. We have some politicians up at the Assembly delivering ignorant statements (in public) that to choose to wear a white poppy is wrong and insulting. In order to pursue Party political objectives, to create divisiveness where none presently exists, they’re trying to polarize mindsets in the pursuit of some myth that only a red poppy is ‘right if you’re British’. In addition, the Peace Pledge Union outlines the origins of the White Poppy and the reality that it is not a symbol of insult but of World Peace and solemn remembrance to the War Dead. It embraces all the victims – our side, their side, civilians – all who have died as a result of War. Please refer for more information at http://www.ppu.org.uk/whitepoppy/. In summary, a solemn act of Remembrance is a personal choice. Choosing to wear a poppy is but 1 way to symbolize Remembrance. If you wish to remember or wear a poppy then wear whatever colour you wish and solemnly remember all the victims of War. November 6, 2014 in Opinion. I find the scheme of poppies of any colour reprehensible, as it is just a ploy to let the British government avoid their responsibilities. People who join the armed forces presumably do it to serve their country, and at times go to war to fight and die. When this happens does the government not have a duty to care for them or their relatives in later life? But instead they set up a charity so they get off scot free and the victims and their relatives have to spend the rest of their lives begging in the street for money. How degrading is this for people who gave their all for their country? I’d agree that after service support for any veteran should not be at the whim of charitable organizations. People join Armies for a variety of reasons – it isn’t always about ‘serving country’ though I accept that is what the ‘contractual’ (written or unspoken) demand entered into means for the individual who fights. I disagree on your perception of the ‘poppy’ being ‘British’. As a symbol of Remembrance to those of the Great War the Poppy is a symbol of remembrance by many Nations (both Commonwealth and Non-Commonwealth) largely to the dead of the Great War and WW2. Not withstanding, the article in Paragraphs 1 and 2, cover and accept that in this little place others choose to manipulate the symbol (and the fallen). It isn’t just Northern Ireland Unionists who manipulate the Poppy for narrow purposes; it’s also the British state. They has been a massive increase in the media’s approach to ‘Poppy month’ since the Iraq and Afghanistan wars began. The British state manipulated the Poppy to gain support for British soldiers dying in those illegal wars. The Poppy isn’t about WW1 AND WWII anymore. It’s about supporting the British armed forces – past and present.